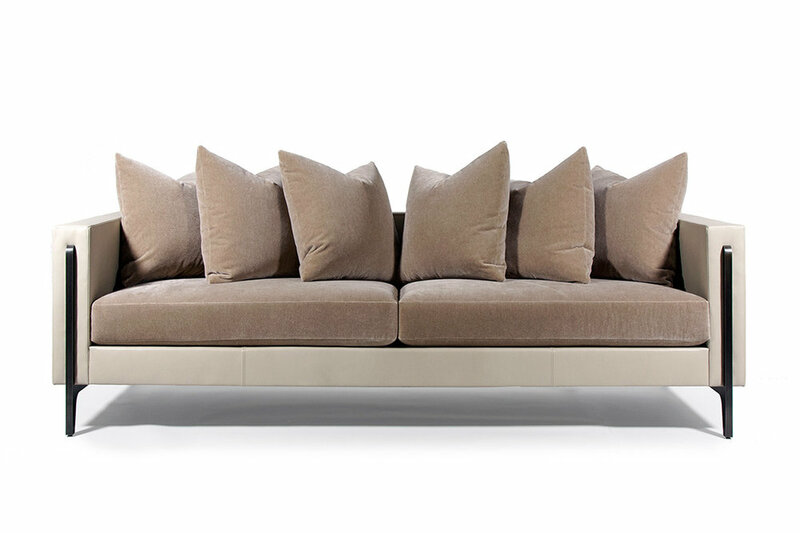 An exercise in juxtaposition, The Adeline Sofa contrasts soft all-down knife-edge back cushions against the hard lines of its blackened patina metal base. 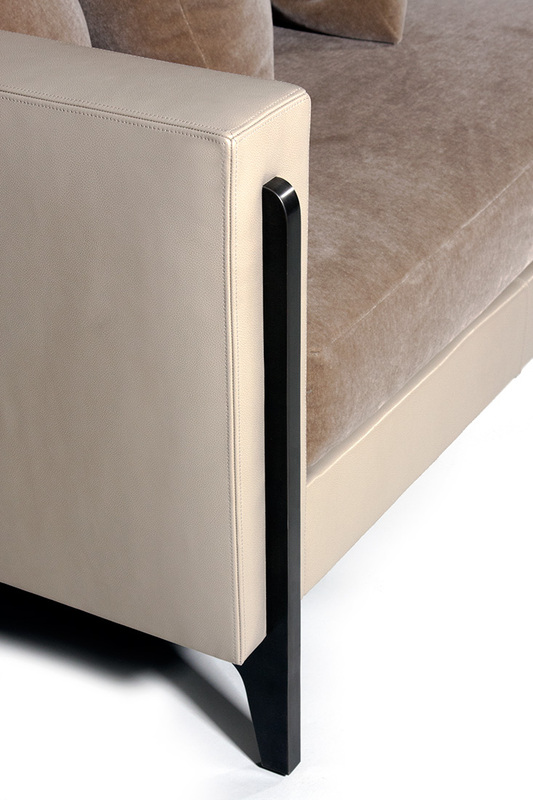 Its thin metal legs allow it to cradle the weight of its body with a minimal footprint. 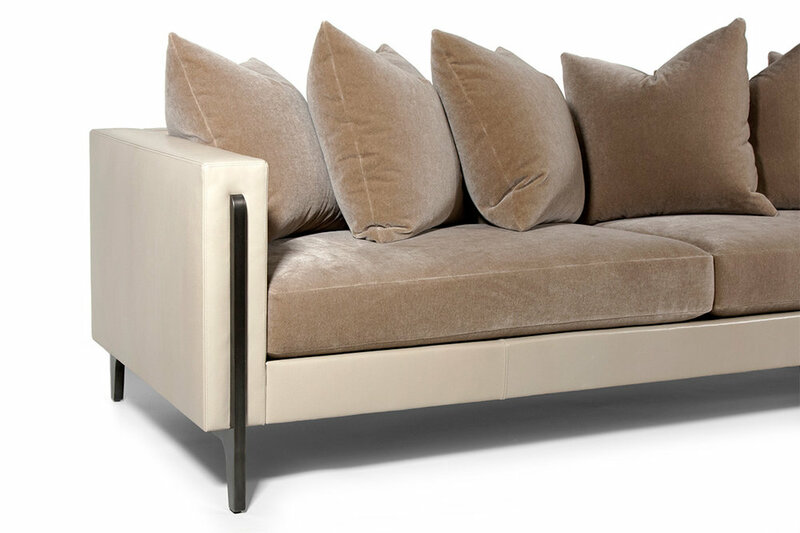 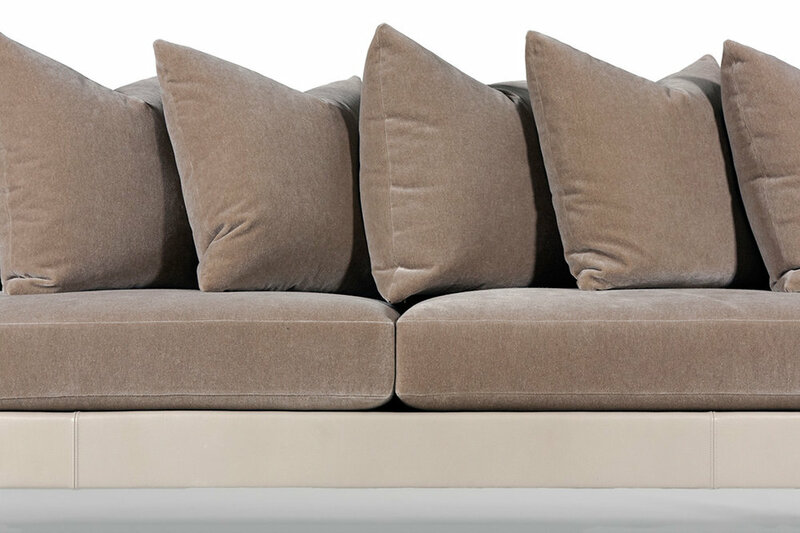 The Adeline Sofa features saddle stitch seaming throughout, and is fully customizable.